At Corridor Automotive Specialist, we provide full-service auto body repairs to all makes and models, restoring the integrity and appeal of your vehicle. Come to us for detailing, auto painting, dent removal and much more. We also carry a wide range of truck accessories, so you can customize your ride to fit your needs. Contact us today to get an estimate on auto body service from our highly qualified professionals. We provide both interior and exterior detailing services. Contact us for leather treatment, waxing and much more! We’re a full-service auto body; we cover dent removals, paint jobs, and much more! Get a quote to return your car to like-new condition. We carry a variety of accessories from the best brands like Lund and DeeZee. Contact us for your next accessory installation. No matter how old your car is or how many miles it has on it, it’s important to treat it with care. And while you might take the time to give it a good wash and vacuum every once in a while, nothing beats a thorough auto detailing in Hiawatha, IA! 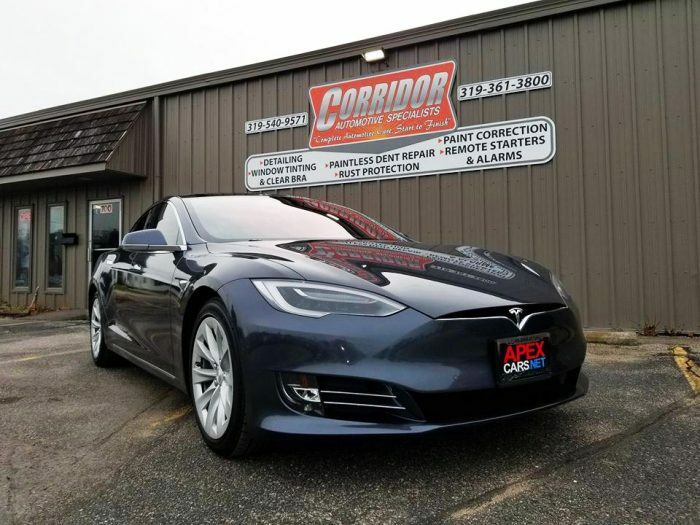 Corridor Automotive Specialist is your detailing expert, providing interior and exterior services that get your car, truck, van or SUV looking and feeling like new again. From upholstery cleaning and treatment, to buffing and polishing, to engine degreasing and wheel dressing, we’ll cover your auto from top to bottom, inside and out. Best of all, our detailing packages can be totally customized around your car. We’ll make sure you can see and feel the difference when we’re done. Some damages go deeper than a simple detailing. Dents and scratches need to be cared for by a seasoned expert, which is why our body shop in Hiawatha, IA welcomes bodywork in any capacity. From hail damage repair to minor collision repair, auto painting to window tinting and more, our ultimate goal is to clean up your car so it looks its best. We even sell and install truck accessories! Let us help you maintain your vehicle’s appearance and integrity for as long as you own it. Schedule detailing, bodywork or paint services with us today. We’re a locally-owned and -operated shop. We take pride in tending to the auto body needs of our friends and neighbors. We’re well-known for our competitive rates and customer-service oriented approach. Delivering superior satisfaction and the best value are always our top priorities. Our capabilities include just about any cosmetic services your vehicle might need, including auto painting, dent repair, rust protection and window tinting, among others. Come to us for all of your truck accessory needs! We stock a huge range of accessories, from some of the biggest brand names in the industry. For our detailing services, we offer a standard package with the ability to customize the services you want for your vehicle. Let our team provide your car with the auto body services it needs to look its best, including dent removal, paint, rust protection and more. Contact us today for an estimate on services.